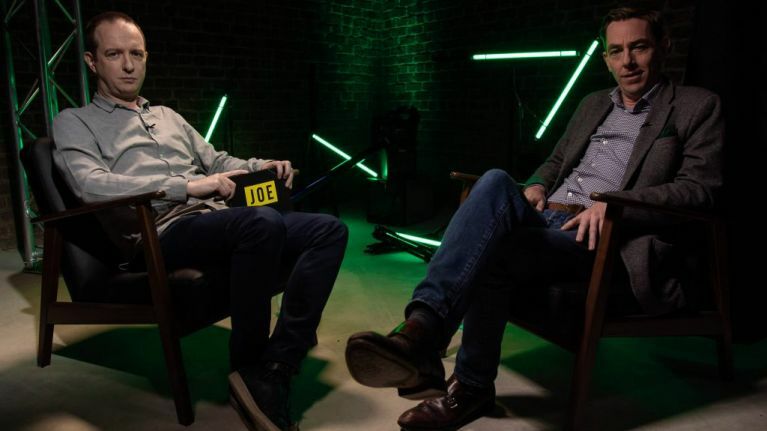 Ryan Tubridy, the host of The Late Late Show is our guest this week on Ireland Unfiltered, hosted by Dion Fanning. Ryan Tubridy was not hounded off Twitter. 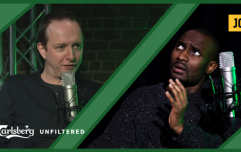 The host of The Late Late Show is our guest this week on Ireland Unfiltered, and tells host Dion Fanning that he has a far less interesting reason for having deleted his Twitter account. "There's a narrative that says that I left Twitter because I was bullied off it. That's nonsense, I'd love to nail that lie now," says the 45-year-old. "Part of it was that irritating thing of people constantly 'at' you, which is fine - there were as many compliments as negative - but, actually, I was spending too much time on the bloody phone! "My daughter turned around to me one day and said, 'are you on that again?' and I went, 'that's it! I'm not going to be one of those dads who I see pushing prams like that (*mimics someone scrolling through a smartphone*). "I just don't want to be one of those guys who's glued (to their phone). I'm on my phone, I'm still on Instagram, I like it because it's friendly. I don't engage really and I see people react and it's lovely. But I'm not going to get into the rabbit hole of Twitter and Facebook, I've none of that." When questioned on whether he would ever think about reactivating his Twitter account, Tubridy gave an unequivocal 'Never!' but nothing could match his hatred for another massively popular app. "WhatsApp is insane, because you get bundled into groups like you're put in the back of a van. Then people take the huff when you don't respond within three and a half seconds, then you have the tyranny of the ticks - you've the blue tick and the double tick and the single tick. It's exhausting! So I just text." Tubridy also spoke about the lack of trust people hold in the media, the danger of 'echo chambers' and why he won't be inviting Katie H0pkins on to The Late Late Show again any time soon. "I don't regret having Katie Hopkins on. If I did that, it'd be a disservice to everyone to say that wasn't the right thing to do. I don't know if someone like Katie Hopkins will be appearing on the show any time soon, can I say that much?" Ryan Tubridy's new book 'The First Christmas Jumper: And The Sheep Who Changed Everything' is out now in all good bookshops.